Second chance romances are usually one of my favorites but this one just didn’t do it for me – it was good, just not great. Having read a ton of Helena Hunting’s other books I had hopes and this one just didn’t get there. Ethan left Lilah eight years prior and after a rough day, the last thing she needs is to have to come face-to-face with him but that is exactly what happens. Though absolutely crushed when Ethan left her, Lilah was determined to not let it rule her life and up until meeting him again, she’s done a fine job. As soon as the two see each other, the sparks from their past reignite and they can’t deny they’re going to have to face them. I really loved Lilah’s character – she’s determined, strong-willed, and has her life straight. It’s Ethan’s character that I didn’t love – he was kind of an a$$ to Lilah pretty much the entire book and I just wasn’t invested in their winding up together. The supporting characters in the book were great though and I’m excited to see who the author writes about next! My non-love for this book definitely won’t keep me from checking out more from Helena Hunting in the future, her writing style is fantastic, and this was a quick read for me. 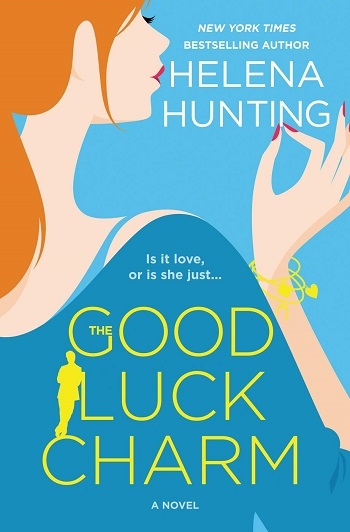 Reviewers on the Wicked Reads Review Team were provided a free copy of The Good Luck Charm by Helena Hunting to read and review.